Ronald S. Heymann handles a wide variety of family practice issues including divorce, support, custody, and pre-nuptial agreements. During his 30 years of practice he has become an experienced trial attorney in the family division as well as in the civil division. Mr. Heymann has represented multiple personal injury clients that have resulted in millions of dollars in settlements. 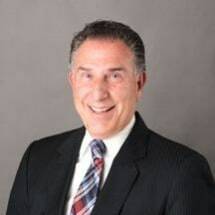 Ronald Heymann has been involved as a lobbyist for several health care organizations for over 20 years including the Juvenile Diabetes Research Foundation as well as the New Jersey Citizens Coalition For Cures. Following 9/11 Mr. Heymann and the firm represented several victims on a pro bono basis before the 9/11 Compensation Fund obtaining several million-dollar awards for victims' families as part of a program through Trial Lawyers Care.